Mail & Express Review recently had the opportunity to ask Eduardo di Cola, the President of Correo Argentino, some questions about his organisation and its position in the highly competitive Argentinian market. We began with some background about Correo. How many letters and parcels do you handle? What is the USO in Argentina? How many locations and vehicles? What about revenues and profits? Correo Argentino handles around two million items per day. The Universal Service Obligation (USO) consists of the collection and delivery of standard mail up to 20 grams, telegrams up to 20 words and postal money orders up to ARS (Argentinian Pesos mil) 1,000 or $US287. Communication, including telegrams and business documents. Services for elections at national, provincial and municipality level, if the local authority requires such services. Telegraphic services, if this is an irreplaceable service. Free echogram services (mail services for blind people). Correo Argentino has around 5,000 services points, a mix of Correo owned post offices and postal units. In November 2008, Correo Argentino had 15,400 employees, including both full time and contracts. The Correo does not own its own vehicle fleet. Estimated annual revenues for 2008 were ARS1.2bn ($US344m) with estimated profits of ARS20m ($US5.74m). What are the main developments in the Argentinian market? What is growing and declining? What about hybrid mail and electronic services? Any other interesting trends? During 2008, standard letter volumes declined 2%, registered mail declined 7%, whilst the EMS service maintained the same level. From the sales channels perspective, overall corporate sales increased 1%, and retail sales maintained the same levels of activity. Our view is that the email and internet have not replaced the postal services. Correo Argentino considers that e-commerce has created new opportunities where the different channels of communications are complementary. Our organisation provides valuable services to people who sell or buy online. In Argentina, two in every three internet users carries out their own market research before acquiring a product, such as electrical appliances, cars, etc. These users consider internet an advantage, providing a sales and purchase channel with a wider access to product information, prices and suppliers. Correo Argentino has developed and offers different hybrid products, for instance, the TIS (Telegraphic Information System). Corporate clients can send communications from their own location and transmit the communications via modem to Correo. The information is then stored in the Correo‘s database system, is electronically mapped, and each resulting physical document is printed at the Correo centre closest to the delivery address. The document is then sealed and delivered to the addressee. An evolution of TIS is the Delivery Informatic System (Postal DIS). This system provides the capability to send letters. This is all developed on the web, which is user friendly. At Correo we are also developing electronic products such as the digitalisation of archives, process digitalisation and geomapping. Over the last decade Correo has gone through a number of changes of ownership and structure. Can you summarise the latest position, and your relationship to the state? In 1997, the government granted the postal services in concession to ENCOTESA. Argentina was one of the first countries to have this model in a deregulated market. In 2003, due to failures of the concession, the administration of President Kirchner cancelled the contract. After six months of being part of the government administration, Correo Oficial de la República Argentina S.A. (CORASA) was created. The company is part of the Ministry of Federal Planning, Public Investment and Services, Communications Department. This ministry holds 99% of the shares of the company; the Ministry of Economy has the remaining 1%. Mail & Express Review understands the market is totally liberalised. What is Correo’s market share in key segments? Who are the main competitors? Source: Commission of National Communications. Postal Market Annual Report. The main competitors are OCA and Andreani. 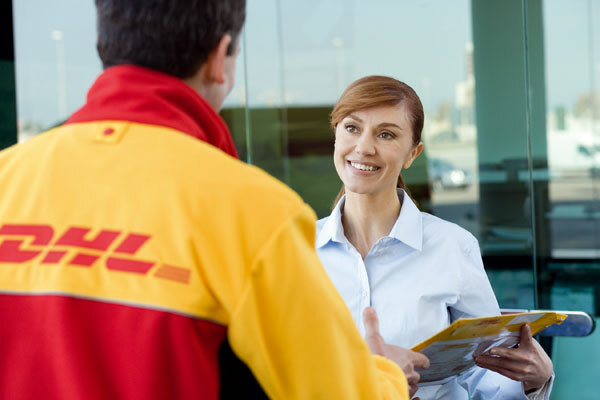 Postal operators provide their services in a fully liberalised, competitive market. The regulator is the Department of Communications, which is part of the Ministry of Federal Planning, Public Investment and Services. The National Commission of Communication is the entity in charge of control and auditing. It oversees the protection of customer rights, and the market regulations. The commission also receives customer complaints, investigates and applies sanctions as appropriate. In regards to the National Normative of Quality Service, Correo Argentino must fulfil the national and international standards (Universal Postal Agreement). Tell us about some of the new products and services you have introduced. How do you assess customer satisfaction? New products and services include TIS, DIS, Digitalisation of Archives, PLetter, and national money transfer, the latter in partnership with Western Union. In 2004, Correo Argentino commenced the implementation of a system of client satisfaction measurement. This is carried out via customer surveys. Correo has been progressively adding more client services and geographic coverage. Do you have any alliances or partnerships in place? Please tell our readers something about them. Our agreements with Western Union and Pago Facil have been operating for ten years. The Western Union alliance allows Correo to offer its customers international money services and to provide access to national money services in minutes. The Pago Facil agreement (Easy Payment) is a system whereby Correo’s customers can make or receive payments on behalf of third parties in 720 offices nationwide. What’s the position with your employees? Correo Argentino is the only operator that has national coverage. We have a gremial syndicate, federations and associations which represent a large proportion of Correo’s employees. How important is the retail side of your business? Are your retail outlets owned or franchised or a mix? Do you have an important role in the provision of government services? 35% of Correo Argentino’s revenues are generated through the retail channels. Correo has its own offices together with units operated by third parties, the latter offering a limited range of postal services. The provision of government services includes pension payments and social payments on behalf of SSNA (Social Services National Administration). We offer to our clients traditional postal and telegraphic money orders, in addition to Western Union services. We also receive and make payments on behalf of private organisations. Finally, what do you see as the biggest challenges and opportunities facing Correo over the next few years? What are your plans? Our main goal is to continue our leadership of the local market and to be positioned in the international market, thereby assuring the efficiency and profitability of the organisation and the personal development of our employees. To invest in technology to optimise the use of our retail network with the aim of entering the financial market. This will see the development of new business and products such as the Correo pre-paid card and digital signature, etc. To increase market share in the logistics market. To generate new sources of revenue in the Correo branches.